The 3in1 SoftTemp infrared thermometer from Reer makes fever measurement child's play. Thanks to a high-quality sensor with modern infrared technology, a non-contact and hygienic measurement takes place, which you can even perform on your sleeping baby. From a distance of approx. 5 cm you can measure the body temperature at your child's temple. The result is shown to you after only one second on the large, illuminated display in a clearly legible manner. On the backlit display you can also read the temperature in dark rooms without having to switch on the light. Acoustic signal tones can be switched off at the touch of a button, so your child's sleep is not disturbed by anything. The coloured LED strip on the thermometer glows green; orange or red to visually indicate whether the temperature is in the normal, elevated or high range. 19 measured values can be stored on the SoftTemp so that you can monitor your child's temperature. With the multifunctional infrared thermometer, you can not only measure the body temperature, but also determine surface and room temperatures. With the large soft-touch buttons you can quickly change the measuring mode and control the temperature in the nursery or a bottle at any time. 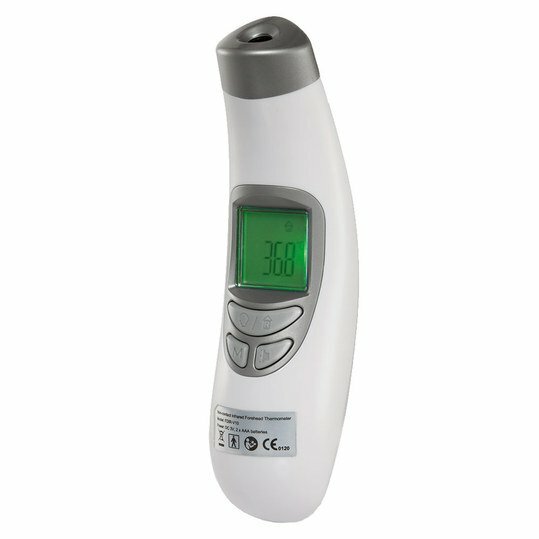 The 3in1 thermometer SoftTemp can be used for all family members and becomes an indispensable helper in the household. Infrarot-Thermometer 3 in 1 Soft Temp wurde bewertet mit 4.4 von 5 von 5. Rated 3 von 5 von Mimie78 aus Lautloses Messen Das Thermometer kommt erst seit ca. 1 Monat immer mal zum Einsatz. 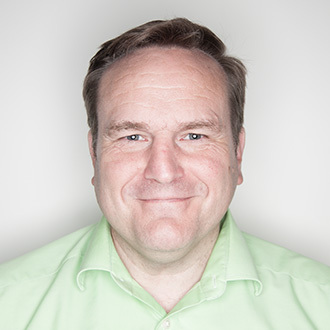 Handhabung sehr einfach und lautlos, da man den Piepton ausstellen kann. Ich vertraue aber tatsächlich der althergebrachten Methode im Po zu messen. Das Thermometer benutze ich eher zur "Vorkontrolle", da ich es nur nutzen kann, wenn mein Kind schläft. Wach ist Sie viel zu aktiv um ein genaues Messergebnis zu bekommen. Daher für mich zwar praktikabel aber nicht sicher genug. Rated 5 von 5 von Kitty881 aus Sehr einfach zu bedienen. Hab es grade in Betrieb genommen. Funktioniert einwandfrei. Der Piepton lässt sich ausschalten. Ideal auch zur Messung der Fläschchen-oder Raumtemperatur. Rated 5 von 5 von Hanna0807 aus Super einfach in der Anwendung Im Gegensatz zu traditionellen Fieberthermometern sehr viel einfacher und entspannter für das Baby. Vor allem Nachts muss man ihn nicht wecken. Rated 5 von 5 von 1111ILRL aus Super Das Thermometer ist sensationell und sehr einfach zu bedienen. Ich empfehle 100%. Es funktionierte perfekt für die Kälte.